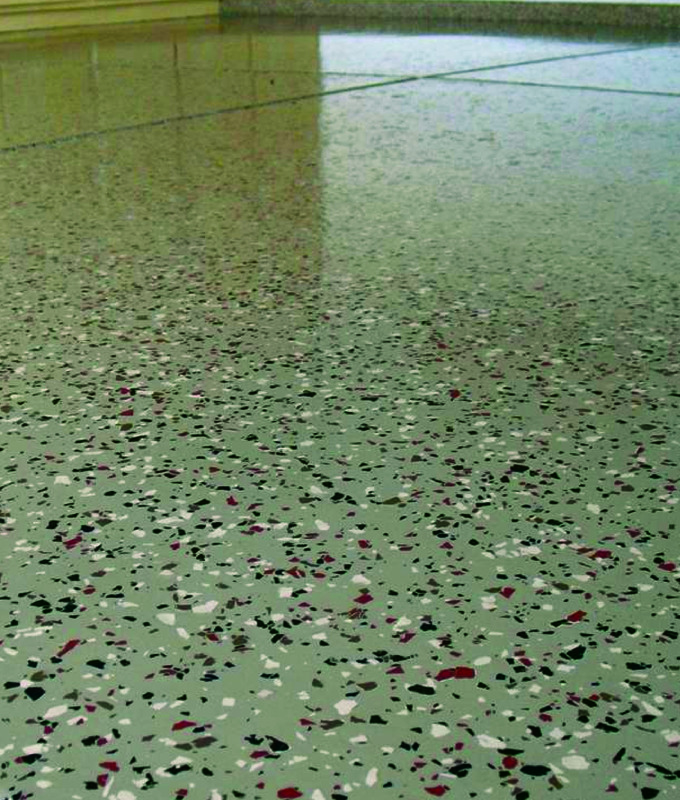 Granitex High Build is a high-build vinyl paint chip flooring system. It provides a tough, easy-to-clean surface that is abrasion, chemical and impact resistant. Granitex High Build offers a wide range of creative possibilities with unlimited color and size combinations. Larger chips will produce looks similar to terrazzo or granite, while smaller chips produce a hard surface carpet appearance. Granitex High Build is suitable for light manufacturing areas, warehouses, automotive service areas and laboratories. Low-odor and low-VOC formulations are available.